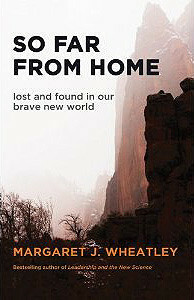 I am very pleased to offer you this new book, a very personal and reflective work written just after my 70th birthday. Each of my books is an invitation to see the world with new eyes. 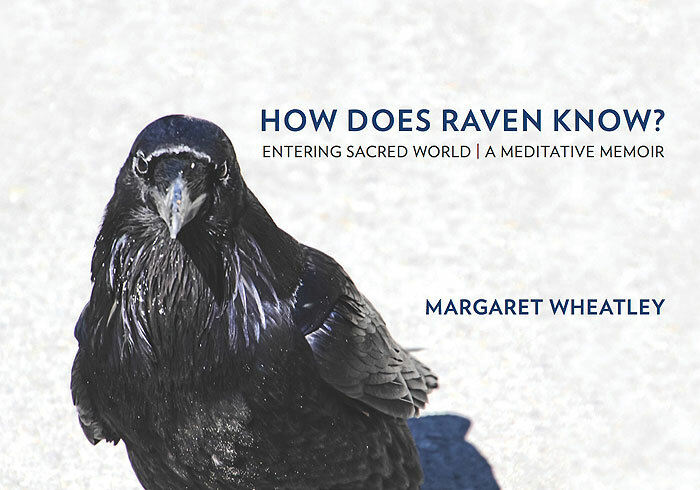 Yet unlike my previous seven books, How Does Raven Know? invites you to see the world anew informed not by science but by sacred wisdoms. I have sought to encourage you to shift your gaze once again to discover the support, confidence, and companionship we need to meet this time. My aspiration is to reintroduce you to a world we modern ones have dismissed or ignored, a world still held for us in the ancient wisdom traditions of most cultures. It is not a call to action, but to relationship with forgotten companions and animate Earth that, in my own experience, willingly offer us support, encouragement, and consolation. This book describes how we can do our good work with dedication, energy, discipline and joy by consciously choosing a new role for ourselves, that of warriors for the human spirit. How is it that some people persevere, remaining steadfast & persistent no matter what? How is it that some people, even with failures, betrayals, and set-backs, still keep going, working for what they care about? How do they not fall victim to exhaustion & despair? How do they preserve their energy, their motivation, their faith? For many years, I’ve observed people persevering through tragedies and harsh circumstances I hope never to encounter. And I’ve observed friends, family and colleagues struggling to persevere through this time of uncertainty, difficulty and occasional insanity. 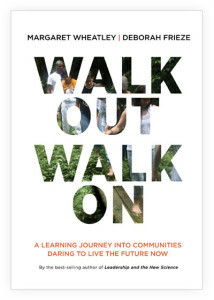 This book is my offering to you if you seek to be one who perseveres, if you hope that your work and life contribute to making things better, not worse, for the people, issues and places you love. When this book was first published in 2002, I made a rash statement: “I believe we can change the world if we start listening to one another again.” I still believe this. I still believe that if we turn to one another, if we begin talking with each other – especially with those we call stranger or enemy – then this world can reverse its darkening direction and change for the good. And I know with all my heart that the only way the world will change is if many more of us step forward, let go of our judgments, become curious about each other, and take the risk to begin a conversation. Our twenty-first-century world is descending into aggression, fear, and separation. War, genocide, violence, slavery, pandemics, poverty, natural disasters – all these are commonplace in this new century, despite most people’s deep longing to live together in peace. What are we going to do about this? What role do we choose to play? Do we withdraw and hope at least to live a satisfying private life? 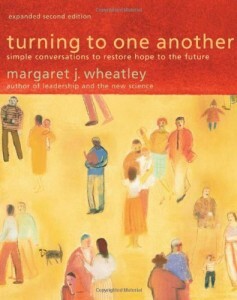 Or do we turn to one another and do what we can to birth a healthy future? For many years, I have written about how to create resilient and adaptive organizations where people are seen as the blessing, not the problem. 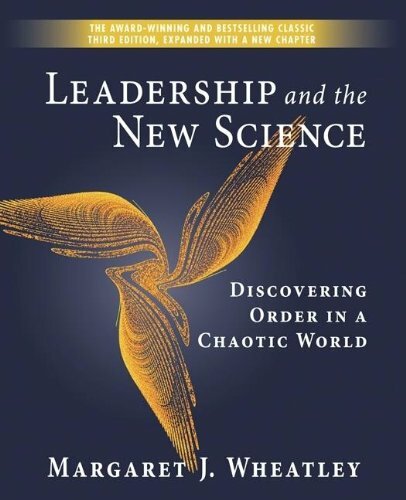 I’ve tried to demonstrate how perspectives about chaos, networks, and relationships that come from the new sciences can be applied to human organizations. Such organizations become creative, self-organizing living systems, rather than the more common highly controlled mechanistic systems that only create robotic behaviors. Finding Our Way is a collection of my practice-focused articles, where I apply themes I have addressed throughout my career to detail the organizational practices and behaviors that bring them to life. The pieces presented here represent more than ten years of work, of how I took the ideas in my books and applied them in practice in many different situations. However, this is more than a collection of articles. I updated, revised or substantially added to the original content of each one. In this way, everything written here represents my most current views on these subjects. 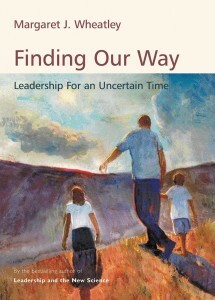 Finding Our Way sums up my thinking on a diverse scope of topics, from leadership and management, to social change, to our personal role in these turbulent times; from provocative social commentary to specific organizational practices and more. 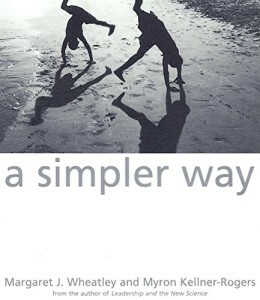 Constructed around five major themes — play, organization, self, emergence, and coherence — A Simpler Way challenges the way we live and work, presenting a profound worldview. 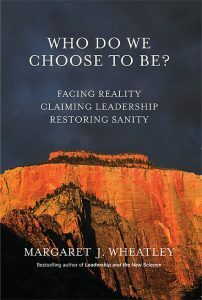 In thoughtful, creative prose, the book helps readers connect their own personal experiences to the idea that organizations are evolving systems. With its relaxed, poetic style, A Simpler Way will help them increase their organizing capacity and free them from the daily stress that disorganization brings. Learn more and Order A Simpler Way.